If this was 2007, I'd expect some confusion and misinterpretation regarding Best Practice for bicycle infrastructure. It was a brave, new world back then. This blog was a lone voice in the wilderness regarding bicycles as transport in cities, with only testosterone-driven, frothing at the mouth sports and recreational cycling blogs for company in the woods. Now, there is a chorus and the voices are getting louder and more harmonious day by day. Many, many people know better now. Knowledge has spread and the message is more unified. One thing that baffles me, however, is why on-street, bi-directional cycle tracks are actually being promoted and implemented. 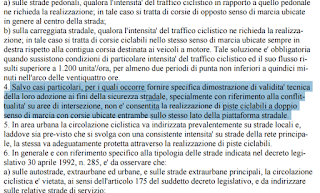 For clarity, when I saw "on-street, bi-directional" I mean the creation of one lane for bicycles separated by a line, allowing for two-way traffic - on city streets. I am not referring to a two-way path through a park or other areas free of motorised vehicles. In Denmark, the on-street, bi-directional facility was removed from Best Practice for bicycle infrastructure over two decades ago. That in itself might be an alarm bell to anyone paying attention. These two way cycle tracks were found to be more dangerous than one-way cycle tracks on each side of the roadway. There is a certain paradigm in cities... I'm not saying it's GOOD, but it's there. Traffic users all know which way to look when moving about the city. Having bicycles coming from two directions at once was an inferior design. This was in an established bicycle culture, too. The thought of putting such cycle tracks into cities that are only now putting the bicycles back - cities populated by citizens who aren't use to bicycle traffic makes my toes curl. There are bi-directional cycle tracks in Copenhagen. They are through parks and down greenways, separated from motorised traffic, and on occasion they are on streets with no cross streets on one side. At all times they are placed where they actually make sense, to eliminate the risk of collision with cars and trucks. Cycle tracks are like sidewalks... you put them on either side of the street, except you keep them one way. Sure, Denmark has developed an incredibly uniform design for bicycle infrastructure, with only four types of infrastructure for bicycles that creates uniformity, easy wayfinding and, most importantly, optimal safety. You hear the same excuses in emerging bicycle nations and cities... "But I saw them in the Netherlands?!" "Bi-directional cycle tracks have a much higher risk to the cyclists than two, one-directional ones. The difference on crossings is about a factor 2. So, especially in areas with lots of crossings (ie. builtup areas), one-directional lanes are preferred. Not all municipalities get this message, however." Fortunately, the Dutch are used to a constant flow of cycling. They're not new at this. 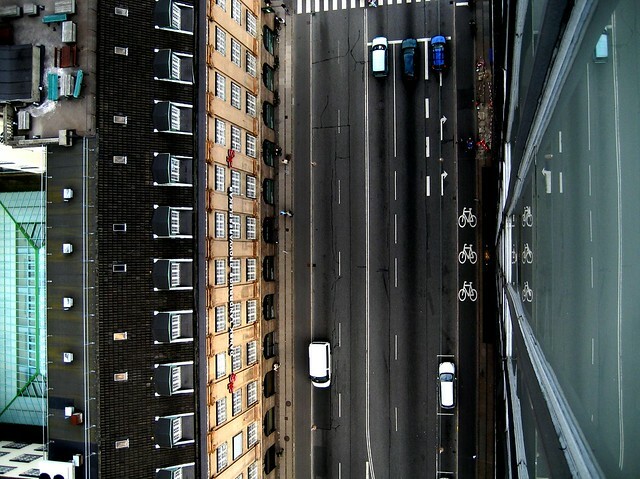 They also have space issues in many of their small city centres that few other cities on the planet have. The bi-directional tracks you may see there are sub-optimal solutions. The City of Ottawa installed some bidirectional cycle tracks against the best advice of their Dutch consultants. CBC looked into it and found that the City chose the "least safe" option and are now suffering cyclist injuries. In the recently published OECD report about Cycling Health and Safety you can read much of the same. Bi-directional are not recommended for on-street placement. One way cycle tracks on either side are the Best Practice that should be chosen. It's really not a newsflash all this. Indeed, it's not even a new thing. 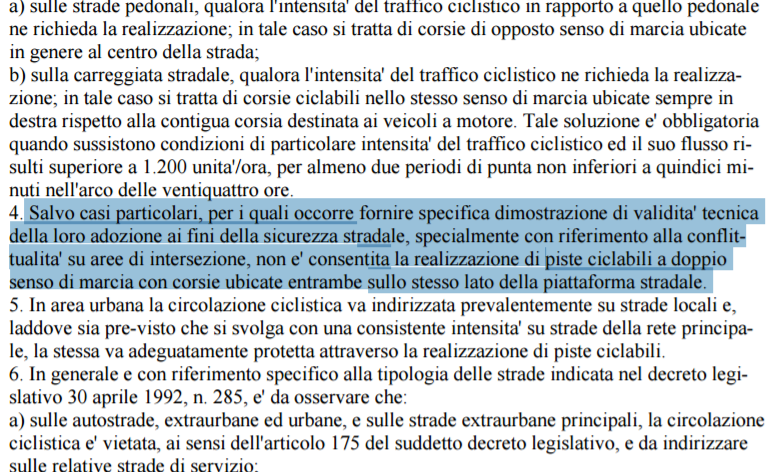 In this pdf document of recommendations for urban cycling in Italy, dating from 1999 it states that bidirectional cycle tracks are not recommended. Imagine removing a sidewalk on one side of the street and forcing pedestrians to share a narrow sidewalk on only one side of the street. You wouldn't do that to pedestrians (sure, stupid examples exist but hey) so why on earth would you do it to cyclists? The bi-directional cycle tracks we see in emerging bicycle cities can't possibly be put there by people who know what they're doing or who understand the needs of bicycle users or who really want cycling to boom. You can also see that in the width that many of them have. Incredibly narrow, making passing oncoming cyclists a lip-biting experience and making passing cyclists heading in the same direction a bit too hair-raising. Another excuse oft heard is, "Well... it's better than nothing" - often spoken in a defensive tone. It is a flawed argument, lacking vision, commitment and experience. This isn't about building stuff out of asphalt. We are planting seeds in the hopes that lush gardens will grow. We have the seeds we need. They are fertile, natural and ready to grow with minimal maintenence. Instead, people are choosing bags of GMO seeds from traffic planning's Wal-Mart. Limited fertility, modified for the simple needs of visionless gardeners. Potted plants instead of gardens. If someone advocates infrastructure like this and actually believes it is good, they probably shouldn't be advocating bicycle infrastructure.